The 49ers today announced they have signed G Leonard Davis to a one-year contract. Davis (6-6, 375) was originally a first round draft pick (2nd overall) by the Cardinals in the 2001 NFL Draft. He has started all 155 games in which he has appeared, was named Second-Team All-Pro in 2007 and is a three-time Pro Bowl selection (2007-09). After spending six seasons with the Cardinals (2001-06), Davis was signed by the Dallas Cowboys on March 5, 2007 where he remained with the club for four seasons (2007-10). Davis spent the majority of the 2011 season with the Detroit Lions. 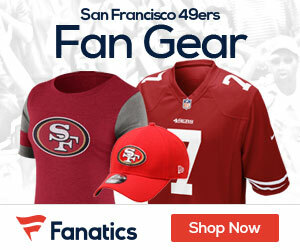 Be the first to comment on "49ers Come to Terms with Guard Leonard Davis"